“That’s not going to happen,” he added, saying any court would surely side with Trump on the issue. 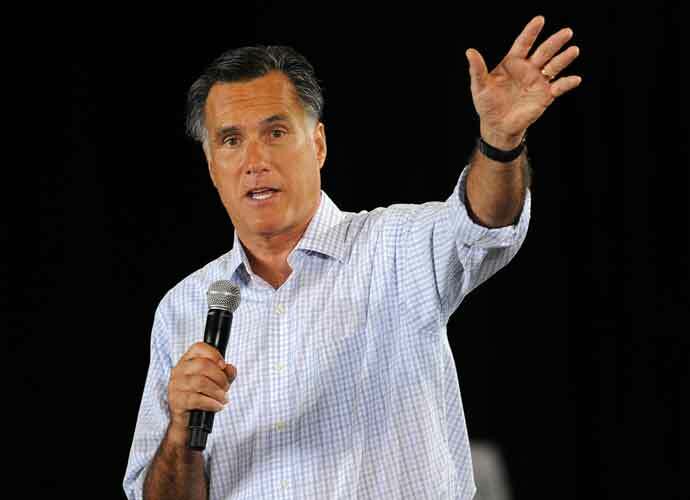 Romney, who became the Republican nominee for president in 2012 but lost his bid to Barack Obama, released his 2011 tax returns during his campaign. White House Chief of Staff Mick Mulvaney said over the weekend that Democrats would “never” see Trump’s taxes. Treasury Secretary Steve Mnuchin similarly said earlier this year that he would vow to protect the president’s tax returns. Trump has broken nearly four decades of precedent, as every president and major presidential candidate has released his/her tax returns since the 1980s. Trump has used the fact that he is under audit by the Internal Revenue Service as one of his many excuses for not releasing his tax information. He has also said he is not required by law to do so and claimed only Democrats and the press are interested in seeing his taxes but not the American public as a whole. The IRS has explicitly said an audit does not mean an individual is forbidden to release his/her tax returns. Rep. Richard Neal (D-Mass. ), the House Ways and Means Committee chairman, on Wednesday requested the IRS release six years of Trump’s tax returns. Neal used a 1924 provision of the tax code to make the request. Democrats have insisted that if the president truly has nothing to hide like he claims he does, he should not continue resisting the effort to unveil his tax returns.